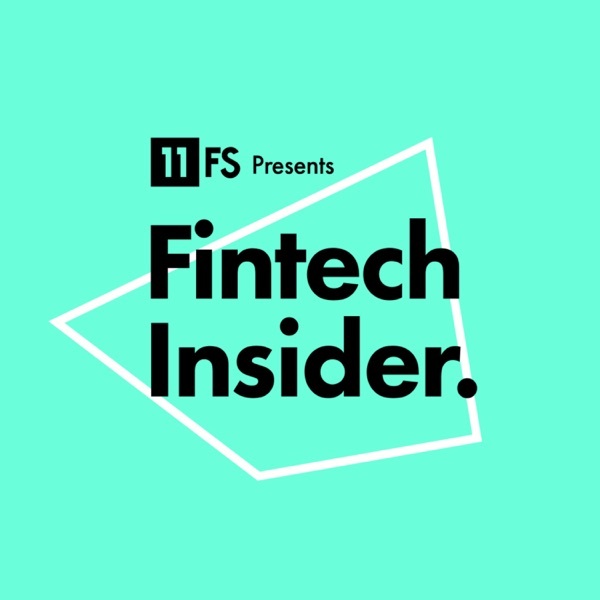 Fintech Insider by 11:FS | Listen Free on Castbox. Fintech Insider, hosted by 11:FS is a bi-weekly podcast dedicated to all things fintech, banking and financial services. The hosts are joined weekly by a range of fantastic guests discuss the latest news, developments, and trends within the industry. On Fintech Insider Insights, they speak to subject matter experts for deep dives on APIs, AI, digital banking, and all other areas disrupting our industry. Fintech Insider Interviews brings you one-on-one interviews with the thought leaders and innovators transforming financial services. Whether you're a fintech expert or you're just keen to know more, then this is the podcast for you! This week we have some great stories for you as Sarah and Simon are joined by a couple of great guests:Freddy Kelly, CEO and co-founder at Credit KudosBen Gleisner, CEO and Co-founder at CoGoSimon Vans-Colina, Engineer at MonzoWe kick off the episode by taking a look at US lenders preparing for a recession. U.S. online lenders such as LendingClub Corp, Kabbage Inc and Avant LLC are scrutinizing loan quality, securing long-term financing and cutting costs, as executives prepare for what they fear could be the sector’s first economic downturn. We hear from our Americas MD, Sam Maule for a US perspective (:).Next up, we talk about RBS challenging the challengers with Bo. Despite buying NatWest almost 20 years ago RBS still uses different IT systems at the two banks. Bó, their new digital-only consumer bank in contrast, has been built in a little over a year on a completely new cloud-based system. It will launch to the public later this year. Sarah and Simon VC remark that if Bo are happy to be a companion bank account, the data can't be fully representatives of their customers' finances. Simon T thinks that profitability is at least a five year journey - is the importance of profit early on misguided? (:).Other stories include: * N26 in trouble with German regulators over hypergrowth* 86400 sign a partnership to offer home loans* Halifax rebrand gets slammed for copying Monzo and Starling* Ant Financial take on the Chinese healthcare market* Derek White waves goodbye to BBVA* Facebook calls time on P2P payments* And finally, Joe Lycett Impersonates RBS Boss to Get £8,000 Back to Scammed Customer All this and so much more on today's show.Don't forget to subscribe so you never miss an episode, leave a review on iTunes and let us know your thoughts on the stories @FintechInsiders on Twitter where you can also ask the hosts questions, or email podcasts@11fs.comThis week's episode was produced by Laura Watkins and edited by Alex Woodhouse. Special Guests: Ben Gleisner, Freddy Kelly, and Simon Vans-Colina. This week we take a look at something set to change payments for everybody as we talk about Strong Customer Authentication (SCA) Sarah is joined by some great guests to discuss the subject:Nilixa Devlukia, Head of Regulatory at Open BankingOlivier Godement, Product Manager at StripeDaniel Chatfield, Engineer at MonzoFred Liu, VP Identity and Risk Products at VisaWe kick off the episode by taking a look at what's driving the introduction of SCA and the theoretical benefits around it. The group explains what SCA is, who's responsible for its implementation and whether any existing SCA can work when SMS-based 2FA has been breached in the past. There's a discussion around whether SCA actually allows or encourages innovation or if it's going to grind innovation to a halt. SCA has had a very fragmented introduction so the outlook isn't particularly clear and the panel discuss what the possible outcomes could be, including whether or not PIN Sentry tools may make a return.They also examine how the payments and fintech ecosystem is preparing for SCA. There's little certainty around what SCA will actually look like and the panel discusses what solutions the people around the table are working on. All this and so much more on today's show.Don't forget to subscribe so you never miss an episode, leave a review on iTunes and let us know your thoughts on the stories @FintechInsiders on Twitter where you can also ask the hosts questions, or email podcasts@11fs.comThis week's episode was produced by Laura Watkins and edited by Alex Woodhouse. Special Guests: Daniel Chatfield, Fred Liu, Nilixa Devlukia, and Olivier Godement. This week we have some great stories for you as Jason and Adam are joined by a few great guests:Anthony Craufurd, Director, Venture and Startup Engagement at Visa EuropeChris Low, Senior Advisor at Motive LabsEmily Nicolle, Technology Editor at City AMWe kick off the episode by taking a look at Standard Chartered expected to pay just over $1 billion to resolve U.S., U.K. probes. Standard Chartered Plc has agreed to pay $1.1 billion to U.S. and British authorities for conducting illegal financial transactions that violated sanctions against Iran and other countries. Chris comments on the importance of it being based on historic violations and Jason wonders if it's only the people who aren't good at avoiding AML that get caught (02:13).Next up, we talk about London being set to lead the unicorn race. Of the 29 global unicorns, 9 are in San Francisco, 7 are in London and 38% of VC funding went to London with reports suggesting that London will overtake the US tech hub in funding this year, bringing the total number of unicorns up to match or overtake San Francisco. Emily Nicolle remarks that London is the global fintech hub and always has been and Anthony Craufurd adds that the FCA is a dark horse that everybody in the world is copying (08:16).Other stories include: CMA chides big banks for Open Banking delaysN26's competitive edge in AfricaVisa branches outAnd finally, how your cat could be the next voice of the world's first 'miaowing' debit card.All this and so much more on today's show.Don't forget to subscribe so you never miss an episode, leave a review on iTunes and let us know your thoughts on the stories @FintechInsiders on Twitter where you can also ask the hosts questions, or email podcasts@11fs.comThis week's episode was produced by Laura Watkins and edited by Alex Woodhouse. Special Guests: Adam Davis, Anthony Craufurd, Chris Low, and Emily Nicolle. Live from NYC's New York Fintech Week with the DIT Sam's joined by some great guests to talk about the future of money:Natalie Ceeney, Chair, Innovate FinanceRobin Mackenzie, Chief Marketing Officer, De La RueAndrew Boyajian, Head of North America, TransferwiseFarrah Lakhani, Director, Growth and Operations at OakNorth Analytical IntelligenceWe kick off the episode by taking a look at the story so far and how the UK fintechs have developed world leading challenger brands offering new customer products and services that are focused on the customer. Next up, the panel talk about how customer centricity drives innovation, how that factors in to the notion of digitalisation over digitisation and whether customer focus is something that's gathered appeal on a global scale. They also take a look at the appetite for fintech in the US and what makes breaking America so much more difficult than the European market. And whether there's an unfair advantage built in for UK fintechs.Payments are a major factor in the US financial ecosystem and the panel examines how cross border payments are having an effect on incumbent money transfer services and how faster payments could be brought to the USA. Wrapping things up the group takes a look at future predictions on how UK fintech innovation will affect the global scene, particularly post-Brexit and how important it is for Lodnon to remain a global fintech hub.All this and so much more on today's show.We want to say a huge thank you to the Department for International Trade and De la Rue who helped make this episode of Fintech Insider Live possible. New York Fintech Week was an unmissable event and we hope you enjoyed our panel from the show. Don't forget to subscribe so you never miss an episode, leave a review on iTunes and let us know your thoughts on the stories @FintechInsiders on Twitter where you can also ask the hosts questions, or email podcasts@11fs.comThis week's episode was produced by Laura Watkins and edited by Alex Woodhouse. Special Guests: Andrew Boyajian, Farrah Lakhani, Natalie Ceeney, and Robin Mackenzie. This week we have some great stories for you as David and Ross are joined by a couple of great guests:Ken Hart, CEO and Founder of Snowdrop Solutions Megan Caywood, Managing Director at BarclaysWe kick off the episode by taking a look at Revolut's newest scandal reveal. The Financial Conduct Authority has made enquiries into Revolut after being contacted by an ex-employee whistleblower who passed on their concerns regarding compliance and the CEO’s conduct as far back as 2016. Megan comments that it seems to have started from the Valentine's incident and snowballed from there and wonders if it could be because the media's loving the scandal and making the culture out to be bad. Ken adds that to be disruptive you have to take risks but if you want to be a trusted financial partner then you need to pivot and do some things differently (02:14).Next up, We spoke to Gary Turner Co-Founder and Managing Director of Xero UK & EMEA to find out more about making tax digital (08:34).The panel talk about how making tax digital and how the initiative is going to affect 1.2M VAT-registered businesses. It's the first step in a process that ultimately aims to automate returns and payments for companies and households for all the main taxes. Megan remarks that this has been going on for a while but it's only just becoming mainstream and that it's great to see the regulator making such a strong push for digital. Ken comments that there's a lot of effort made in the UK to make digital organisation work, especially compared to his experiences with the IRS in the US (10:20).We also talk to Luke from Monzo's vulnerabilty team to find out more about Monzo's involvement with the Big Issue to make magazines resellable (39:37).Other stories include: Cash probe into RBS Remedies FundBig banks spending billions on digital - againSubscribe to wealth: The Netflix of DataKroener says auf wiedersehen to Fidor x BPCEPay it forwards again and again and againAnd finally some of the best financial pranks across the yearsAll this and so much more on today's show.Don't forget to subscribe so you never miss an episode, leave a review on iTunes and let us know your thoughts on the stories @FintechInsiders on Twitter where you can also ask the hosts questions, or email podcasts@11fs.comThis week's episode was produced by Laura Watkins, written by Dhanum Nursigadoo and edited by Alex Woodhouse. Special Guests: Gary Turner, Ken Hart, and Megan Caywood. David and Simon are with some great guests from Finastra, including:Simon Paris, CEOEli Rosner, Chief Product and Technology OfficerMartin Haering, Chief Marketing OfficerNicola Hamilton, Senior Director, Brand and CommunicationsWe're bringing you an insight into how to manage diverse sets of client requirements, handling varying paces of change and overcoming the hurdles regarding legacy brands.We also talk to Finastra about their Corporate Social Responsibility (CSR) initiatives, how the company interacts with CSR and what the future has in store for Finastra. Our guests talk to us about creating a platform for financial services that let banks move faster than core banking systems let them. Finastra aims to provide an open platform for innovation in the financial services industry in an age of massive consolidation and doing it in a way that deals with internal silos and prevents them from being formed. They also talk about skill transfer, enabling those without technology skills to use platforms and how big techs are creeping into the banking area.All this and so much more on today's show.Don't forget to subscribe so you never miss an episode, leave a review and let us know your thoughts on the stories @FintechInsiders on Twitter where you can also ask the hosts questions, or email podcasts@11fs.comThis week's episode was produced by Laura Watkins and edited by Alex Woodhouse. Special Guests: Eli Rosner, Martin Häring, Nicola Hamilton, and Simon Paris. This week we have some great stories for you as David and Leda are joined by a couple of great guests:Conny Dorestijn, Founding Partner at BankiFiRyan Edwards-Pritchard, MD of Funding OptionsWe kick off the episode by taking a look at Apple Card, Apple announced the launch of a credit card designed to help customers lead a healthier financial life. It offers no fees of any kind and encourages customers to pay less interest. Conny comments that it's a cool product that can deliver an excellent user experience across devices, which is where Apple will excel but Leda thinks that this isn't a gamechanger (03:06).Next up, we talk about Oaknorth and Monzo teaming up to launch a savings account, Ryan thinks that this news is a great entry partnership for the companies and Leda adds that Oaknorth are the story right now more than Monzo (17:53). We also talk to Amir Nooriala, COO of OakNorth to get some further insight into the partnership (21:00).Other stories include: Venmo’s going after users with negative balancesStandard Chartered wins first Hong Kong virtual licenceHSBC Signs Deal to Use BlackRock's 'Aladdin' Software Worldwide Erica’s a hit with America JPM boot out employees in the event of a no-deal Brexit Rick Astley (bank) Rolls his retirement with crypto And finally, The Wetherspoons App Is Now Being Used By Financial DominatrixesAll this and so much more on today's show.Don't forget to subscribe so you never miss an episode, leave a review on iTunes and let us know your thoughts on the stories @FintechInsiders on Twitter where you can also ask the hosts questions, or email podcasts@11fs.comThis week's episode was produced by Laura Watkins, written by Dhanum Nursigadoo and Laura Watkins. Edited by Alex Woodhouse. Special Guests: Amir Nooriala, Conny Dorrestijn, and Ryan Edwards-Pritchard. Last year we introduced you to the wonderful world of Luxembourg fintech through LHoFT, nine months later we've been invited back.Laura Watkins explores how Luxembourg has solidified its place in Europe as a fintech hub and how this tiny country plans to extend its reach globally by talking to some of the key players in Luxembourg's fintech space, including:Pierre Gramegna, Luxembourg Finance Minister, Nasir Zubairi, CEO of LHoFT - (lux House of Fin Tech)Susanne Schartz, Chief Operating Officer, Seqvoia, a homegrown Luxembourg fintechLuc Falempin, CEO at tokeny.comAlberto Dalmasso, Co-Founder and CEO of SatispayLaura finds out how Luxembourg is capitalising on interest in blockchain, supporting 'older' fintechs that sowed the seeds for the fintech hub and what outsiders think about the small country with big ambitions and why some of them are relocating to the picturesque nation surrounded by major European economic players.Luxembourg has managed to attract major global players like Amazon and Alipay, has considerable global ambitions and that's just scratching the surface. It seems as though David has managed to take on Goliath in this situation and Luxembourg is well on its way to becoming a global fintech powerhouse with the ecosystem they've managed to put in place. All this and so much more on today's show.Don't forget to subscribe so you never miss an episode, leave a review on iTunes and let us know your thoughts on the stories @FintechInsiders on Twitter where you can also ask the hosts questions, or email podcasts@11fs.comThis week's episode was produced by Laura Watkins and edited by Alex Woodhouse. Special Guests: Alberto Dalmasso, Luc Falempin, Nasir Zubairi, Pierre Gramegna, and Susanne Schartz. This week we have some great stories for you as David and Jason are joined by two great guests:Caroline Plumb, CEO of FluidlySimon Balmain, Operations and Community Specialist at MonzoWe kick off the episode by taking a look at WorldPay selling to FIS and changing its tech stack. The group comments that it's not a modern way to approach tech stack spending, it's an oldschool way of doing things and 600M is a large amount to spend over 6 years to maintain technology (02:36).Next up, we talk about Barclaycard bringing Alipay payments to UK retailers. There are some suggestions that this could mark the beginning of the end from the panel but they also wonder who the first adopter will be and Jason, for one, welcomes our new overlords (08:52).We spoke to Tao Tao, Alipay's Business Development Director to find out more (13:15).We also talk to our 11:FS Americas MD Sam Maule to get a US insight into why 21% of Americans have no savings (:).Other stories include: 21% of Americans have no savingsGrab grabs more market share in SE AsiaSC’s startup bridgeFemale-focused crowd-funding from NatWest And finally, a German bank lets clients vote on dress codeAll this and so much more on today's show.Don't forget to subscribe so you never miss an episode, leave a review on iTunes and let us know your thoughts on the stories @FintechInsiders on Twitter where you can also ask the hosts questions, or email podcasts@11fs.comThis week's episode was produced by Laura Watkins and edited by Alex Woodhouse. Special Guests: Caroline Plumb, Simon Balmain, and Tao Tao. Benoit Legrand is CIO of ING. Simon talks to Benoit about his unsuccessful startup experiences and what they taught him, how ING sees itself as a 20 year old fintech, why some banks are afraid of PSD2 and how to focus on the problems customers are facing.They also take a look at Yolt, developing resistence to change and the importance of having a team dedicated to delivering change, why the scale of partnerships matter and touch on Brexit.We hope you enjoyed the show! Don't forget to subscribe so you never miss an episode, and follow Fintech Insider on Twitter or Facebook.​If you really loved it, please leave us a review, we love reading them!​This episode was produced by Laura Watkins and edited by Alex Woodhouse Special Guest: Benoit Legrand.